The Urban Community Outreach Drop In Center is a community center for homeless people and the working poor in downtown Long Beach. It provides hot, nutritious meals, access to the internet in a 10 station computer lab and a haven from the weather and the harsh conditions of the streets on Sunday afternoons. Open every Sunday of the year (except the first weekend in December and all Sundays in July). If you or anybody you know would like to help out, we are included in the “The Long Beach Volunteer and Meet People Meetup” page for volunteers at meetup.com; on that site, you can get the latest information from our volunteer coordinators as well as register to help us know how many people will be showing up! If you are a group of 5 or more people, please contact Cherry Bush at 562-582-1000 or CherryBush20@Yahoo.com to coordinate your group volunteering at the Drop In Center. Otherwise, please use this form and/or meetup.com site to register and volunteer. Our Volunteer Day starts at 8:30 AM. Join us for a couple of hours or stay for the day or at least the afternoon. We are located at 241 Cedar Avenue, Long Beach, CA 90802. Entry is through the steel mesh doors on Cedar Avenue. Once you are in the courtyard, enter the dining hall on the left. A coordinator or kitchen staff member will help you get started. No open-toed shoes or sandals, no sleeveless shirts, no bare midriffs, and please restrain any long hair. All ages welcome, but persons under 16 years of age need to be accompanied by an adult; please note that we have a maximum of 3 persons under age 16 per adult. We often have specific needs for items, such as men’s clothing. See our wish list for the latest needs we can use help with. Monetary donations are also welcome. 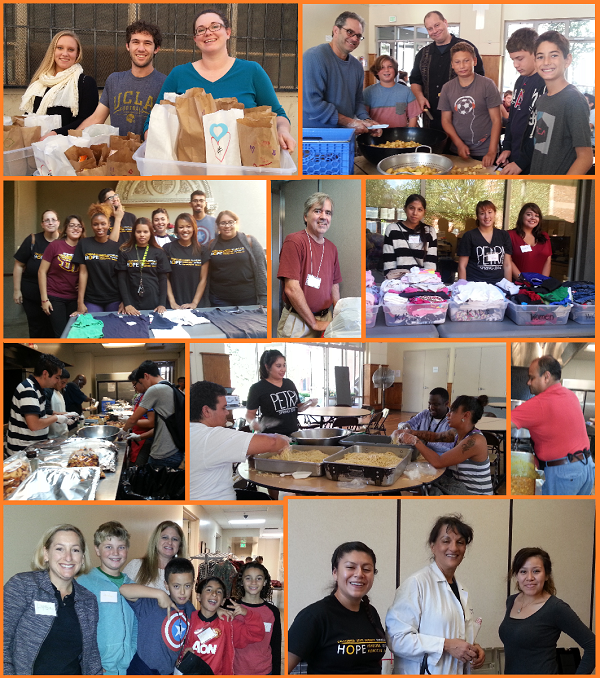 Thank you for volunteering with Urban Community Outreach!